What is Grenade Defend BCAA? 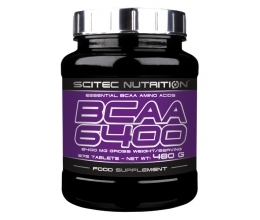 The branched-chain amino acids (BCAAs) are crucial to muscle development. Leucine, isoleucine and valine form part of the essential group of amino acids; our bodies cannot synthesise these, and so they must be obtained through dietary sources and supplements. When you’re lifting heavy weights – and regularly – maximising muscle growth is a priority. Along with this, it’s important to limit catabolism (muscle breakdown). Grenade Defend BCAA is a reformulated version of the original; the full-spectrum amino acid blend had been upgraded. In its place is a potent 7g of BCAAs, presented in the heavily researched 2:1:1 ratio, containing micronised Pepform® and free-form amino acids. Furthermore, these are fermented BCAAs – they’re not derived from duck feathers or human hair, as is sometimes the case within the industry! Defend BCAA provides a concentrated source of the key muscle-building components. 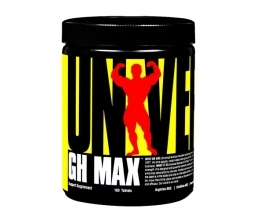 It features both peptide-bound and free-form leucine, which can perhaps be considered the most integral amino acid for bodybuilders and strength and power athletes. Additionally, you’ll find glutamine – one of the most abundant amino acids in skeletal muscle; it also contributes to immune and gut health. Glutamine peptides are glutamine molecules bound with other aminos; this is said to optimise absorption and stability of the former. Defend also contains an electrolyte blend coupled with powdered coconut water, to help you stay adequately hydrated. It’s fortified with vitamin C to help negate oxidative stress, plus vitamins B1, B6 and B12, owing to their role in energy metabolism. Vitamin B3 – or niacin – is a precursor to nitric oxide (NO), which acts as a vasodilator, lending to muscle pumps. Defend is a must-have companion to your workouts! • Every scoop delivers 7g of BCAAs in the recommended 2:1:1 ratio. • Made using a fermented BCAAs – not sourced from duck feathers or human hair! 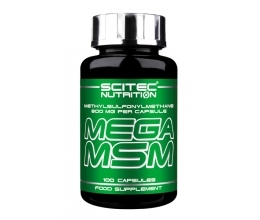 • Includes both peptide-bound and free-form amino acids to maximise absorption and efficacy. • Fortified with B vitamins to assist energy production, and niacin (vitamin B3), a NO precursor. • Added vitamin C helps to guard against oxidative stress. • Electrolytes and 500mg of powdered coconut water aid optimal hydration. • Available in a range of insanely refreshing, fruity flavours. How can Grenade Defend BCAA help me reach my goals? Muscle growth all hangs in the balance; throughout the day, the supply of amino acids to muscle tissue should exceed that which leaves it. As a supplement, Defend BCAA helps to elevate serum levels of amino acids, supporting muscle protein synthesis. It functions as an anti-catabolic, making it suitable for use as an intra-workout, or between meals to maximise strength, recovery, hydration and energy output. If you’re serious about results, nominate Defend BCAA as your right-hand man! Who is Grenade Defend BCAA suitable for? • Bodybuilders and strength trainers wanting to assist muscle growth and repair. • Endurance athletes looking to support performance and recovery. • Those searching for a high-quality and versatile BCAA/hydration product to supplement their regime. Take two (2) level scoops of Grenade Defend® powder with approx. 500-900mL water during, or immediately, after high intensity exercise.